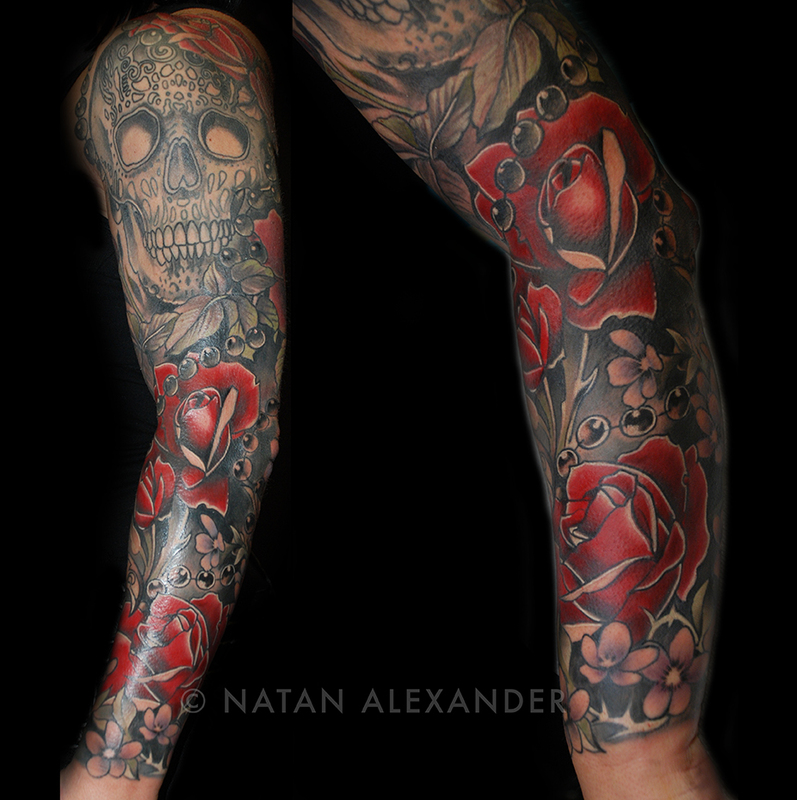 We just added a bunch of new tattoos to Natan’s portfolio. You can feast your eyes on them by clicking right here. Below are a couple of our favorites. 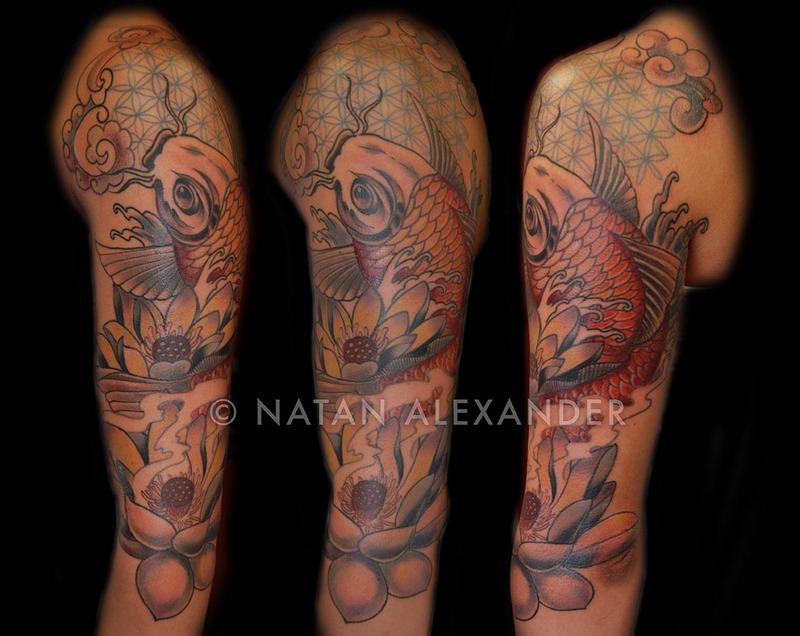 Renee has gotten many hours of work from Natan, and this sleeve is her largest piece. Natan is no stranger to pagan tattoos, especially at his shop in Salem. You can’t go wrong with a classic koi fish and some sacred geometry. Natan is continuing to book out for about 8 weeks, so give one of his shops a call to get for a consult as soon as you can! 978.744.9393, or 781.233.1780. 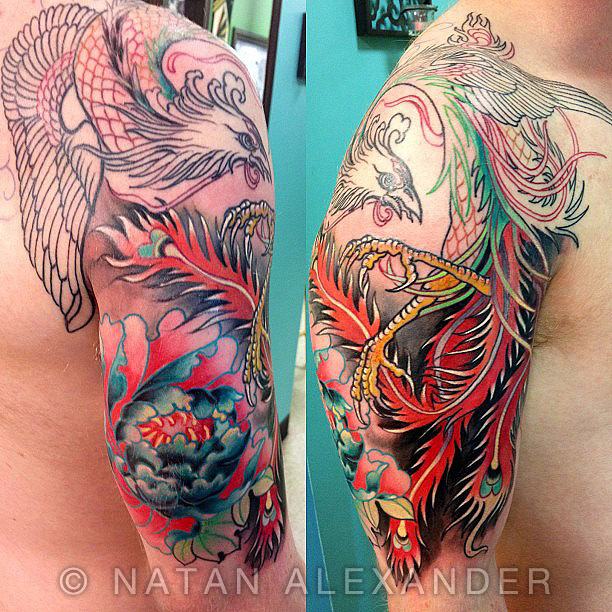 On Friday, Natan completed the second session of a phoenix half-sleeve on one of his traveling clients, Michael. 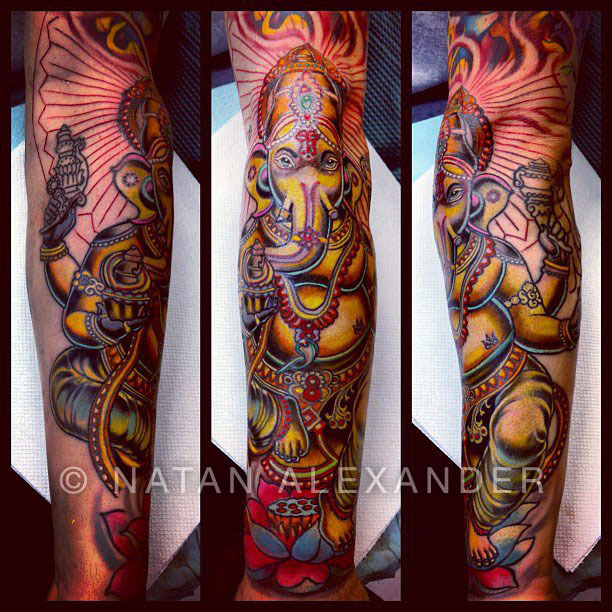 He lives further down the east coast but has now flown to New England twice to have Natan work on his tattoo. 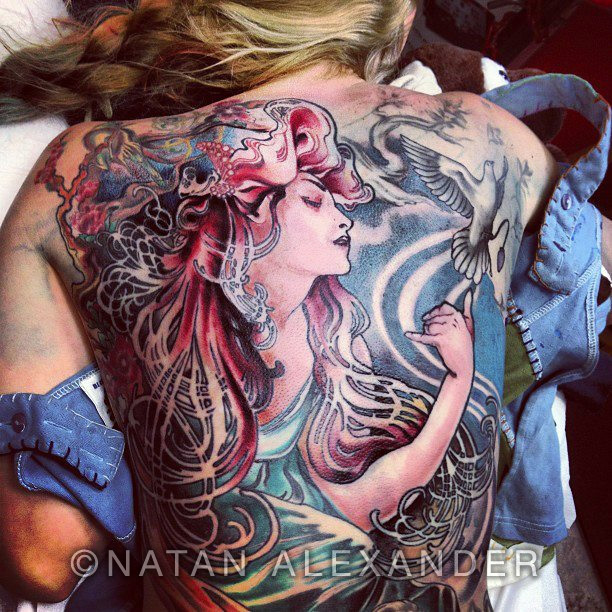 Natan has tattooed people from all over the world, and it’s not uncommon for them to make the trip for multiple pieces. Thanks Michael, we hope to see you for your next session soon! Like any large tattoo, this back piece has been in progress for a while. Abbey came in armed with jellybeans for a long session on her Mucha-inspired back piece. Rumor has it that this tattoo may be finished by the end of summer, so keep checking back for updates! As usual, Natan has a lot of in progress pieces happening. John, a Salem local and business owner, came in for his first session last week. The phoenix was a long outlining session, and he sat like a champ! 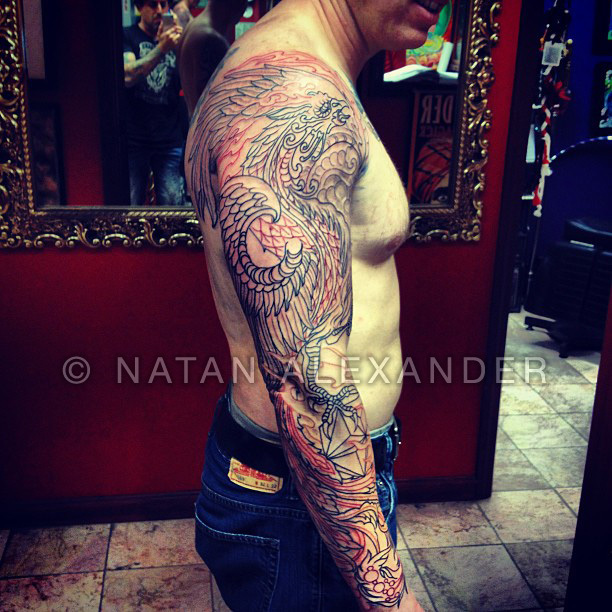 Natan tattoos a lot of phoenixes, but this is the first one to cover an entire arm in a while. We’re looking forward to seeing this progress in future sessions. Of course, more pics will follow! With the Boston Tattoo Convention less than six months away, Natan’s schedule is getting fuller. If you need to schedule an appointment with him to continue an existing piece or start something new, we recommend doing so as soon as you can! Give Witch City Ink a call at 978.744.9393, and we’ll get you in his calendar. We showed you the first session of this Ganesh tattoo right here. It’s still not quite done, but below are the fine results of session number two. Stay tuned for more progress! What was initially thought to be just the first session of a Ganesh forearm piece, turned into a solid seven hour session that included a coverup. See that Ganesh Yantra there? Before yesterday, there was some old tribal in its place. It was a long day, but both client and artist walked away happy. Thanks, Michael! 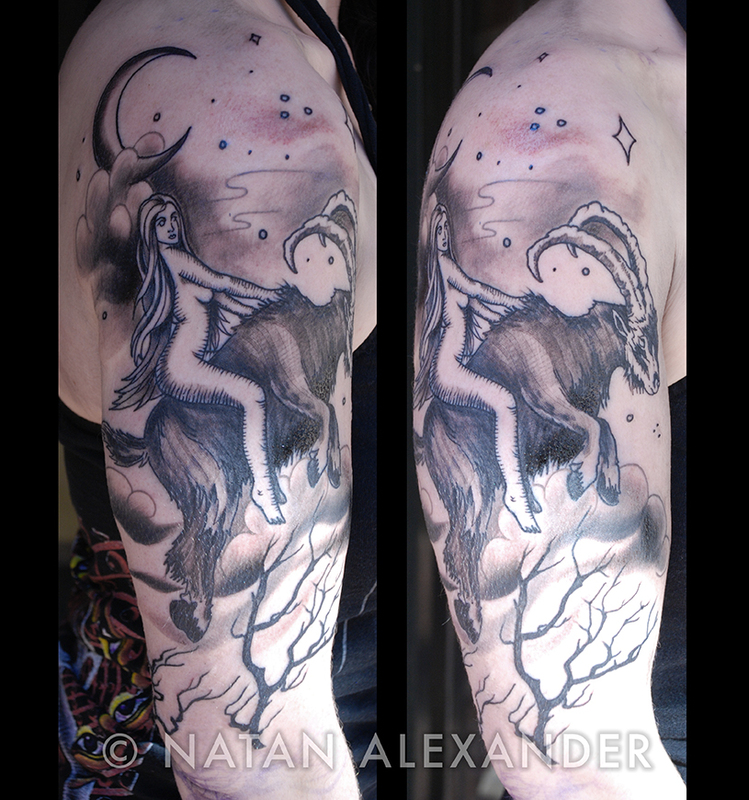 Natan has a couple of smaller openings available in December, both at Witch City Ink and Lightwave Tattoo. If you have an existing piece that you want to work on for a couple of hours, or want to get something small done, give the keeper of his schedule a call at 978.744.9393. 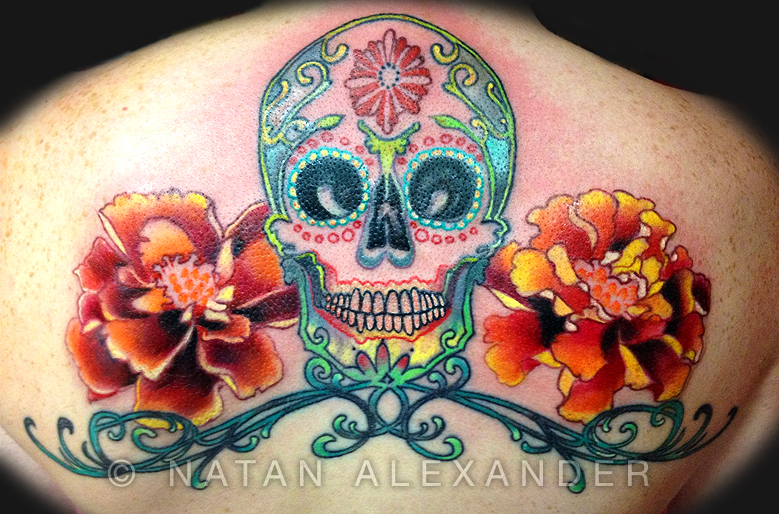 This sugar skull and marigold piece fits this client’s back perfectly. It took two sessions, and was finished up yesterday. Thanks, Sarah!